When Barbara A. Farley joined Illinois College as its 14th president in 2013, she brought with her the deep-rooted belief that the world needs more colleges like Illinois College. Since her first day on campus, President Farley has been making that case to the world and has defined a vision for the College to inspire achievement and empower students to make a difference. President Farley strives each day to discover what students are excited about and the best ways to support their success — whether that means cheering from the sidelines of a sporting event or shining a spotlight on their student-faculty research. She is a leader who bases her definition of success on the achievements of the students and alumni of the institution that she leads. They serve as ambassadors who make the undeniable case for Illinois College each day as they use their education to make a difference in the world wherever they go. During her presidency, Illinois College has reached new heights in donor engagement and giving, celebrated breakthroughs in academic innovation, upgraded its world-class learning facilities and experienced a 10-year high in enrollment. Under her leadership, student access to life-changing opportunities at IC — like BreakAway trips, internships and student-faculty research — has grown. She has united the College in its mission, giving students an environment that develops their minds, enriches their spirits and nurtures their unique gifts and talents. President Farley can regularly be found on campus, whether she is detailing the complexities of strategic growth during a town hall meeting or lending a hand to help new students and their families on move-in day. She also travels far and wide to share the Illinois College story. In her journey to becoming the first female president of Illinois College, Dr. Farley has had many professional experiences that have convinced her of the value of small, independent colleges. She has taught and provided leadership at five such institutions since 1985, including her most recent role prior to IC, as vice president of academic affairs and dean of Augsburg College in the heart of Minneapolis, Minnesota. The insight she gained as a professor and academic dean inspired her hands-on leadership style which can most aptly be described as collaborative. She values teamwork and has a remarkable ability to listen and consider the many diverse perspectives within the Illinois College community. From students and faculty to staff, trustees, alumni and friends of the College — she is often the glue that connects each corner of IC’s vibrant learning community. President Farley works closely with other leaders in higher education to share ideas and develop the best strategies for preparing students for the challenges of 21st-century careers. She brings wisdom to her role cultivated during her studies at Carlson School of Management at the University of Minnesota, where she earned her master’s degree and Ph.D. in business administration. 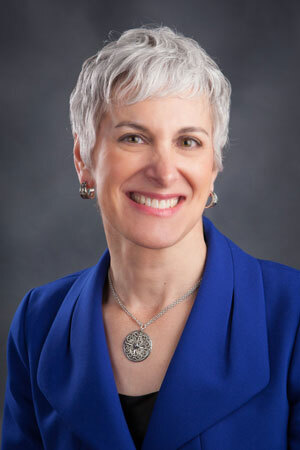 She is active nationally in higher education, currently serving on the Council of Independent Colleges Board of Directors and as chair of the board for the Association of Presbyterian Colleges and Universities. She served previously as president of the Associated Colleges of Illinois, as part of the Tax Policy Committee for the National Association of Independent Colleges and Universities and on the Executive Committee for the Federation of Illinois Independent Colleges and Universities.